Magnolia trees are ancient. Appearing before bees, they evolved due to pollination by the movements of beetles. Their dark green leaves have an oval shape and are covered with a layer of wax. Their bark is brown and smooth when they’re young and scaly as they mature. Blooms occur annually in the spring producing white flowers that give off a notable fragrance. Magnolias love wet, even soggy soils. 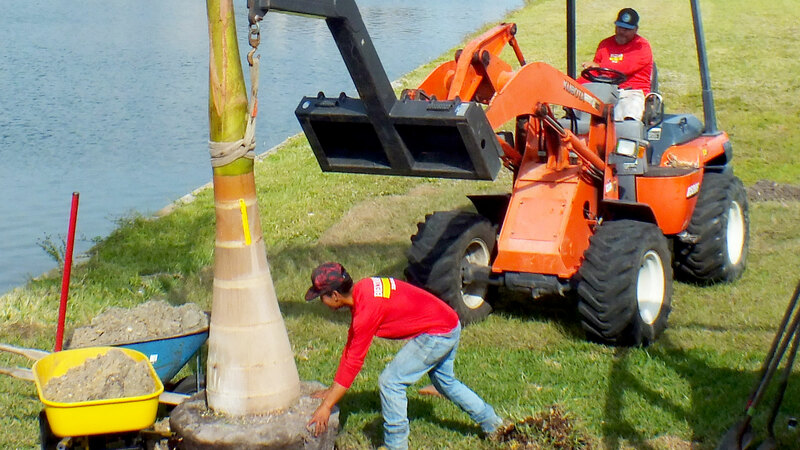 Mulch around the base to ensure moisture is sufficient. Fertileize in the spring with a slow release fertilizer after the flower buds begin to show. 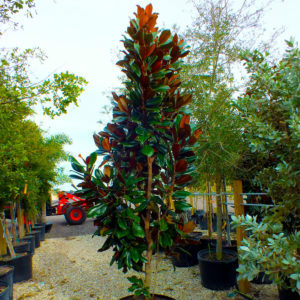 Learn more about this shade tree by calling 239-362-4327 or stop by our nursery. Shady Lady trees are considered small in comparison to other shade trees. They’re perfect for yards with limited space. 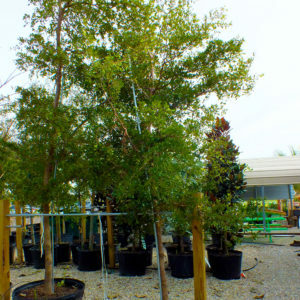 It has a high tolerance for salt and can be planted near beaches in Punta Gorda and on Pine Island. Their tiny leaves and flowers will easily fly away in the breeze, making this tree almost self cleaning. Fertilize 3 times a year and water on a consistent schedule that provides enough time for the soil to dry out. Max heights are 30’, so be sure to plant at least 15 feet from structures and other trees. 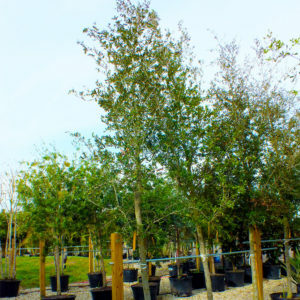 Live Oaks are the most commonly planted tree in Punta Gorda, Cape Coral and on Pine Island. A few notable facts include; they’re extremely wind resistant, they'll add value to your home, provide protection from wind and will supply squirrels and birds with habitat. They won’t mature for 20 years. For the first year ensure a regular irrigation schedule to grow a strong root system as well as fertilizing with a granular fertilizer in the spring, summer and autumn. Plant at least 15 feet from driveways and pools. 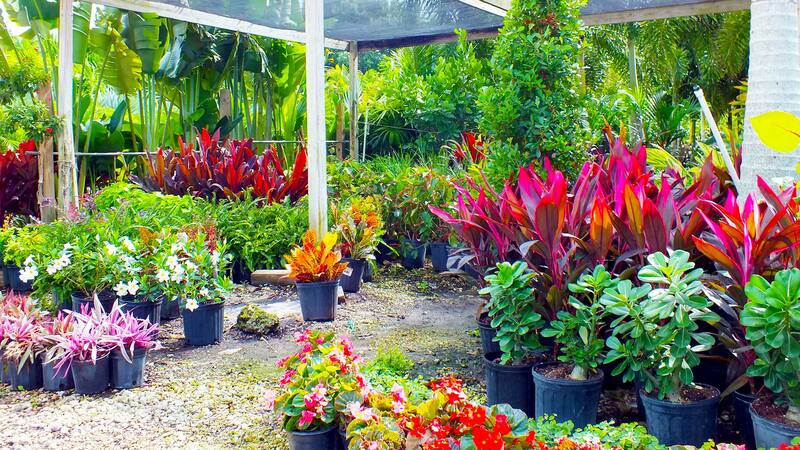 Visit our nursery on Taylor Road in Punta Gorda or call us at 239-362-4327 to schedule a delivery and installation. Crepe Myrtles are a colorful addition to most any landscape in Southwest Florida and can be used a variety if different ways. The two most popular uses are as a focal point or a hedge. Ensure a regular watering schedule for the first year. After its established, irrigate less. 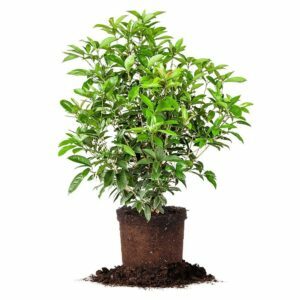 They have many trunks and can grow up to 30 feet tall, so consider the location you wish to plant this floral tree, as it will need full sunlight for maximum flower production. To achieve several blooms each year, you can cut off the seed pods after the first blooms. It's possible to get a second or even third round of color.